Ladbrokes is one of the biggest name in the world of sports betting. With hundreds of offline stores across the UK, it also boasts an impressive, successful online site. The Vegas part of the site is powered by Playtech software and it promises to deliver exceptional online gaming. Providing all of the excitement of Vegas from the comfort of your own home, you are offered numerous promotions, an excellent selection of games and a safe, secure environment to play. The company is licensed in Gibraltar and delivers exceptional customer service. One of its main attractions is the large jackpots on offer. If you’re looking for a range of different games then you won’t be disappointed. Ladbrokes Vegas has a choice of casino and special themed games. There are fantasy, super heroes and legendary games to choose from. Super heroes’ games include Captain America, The Incredible Hulk, Fantastic Four 50 lines and X-Men 50 lines. The 50 line games provide you with 50 different chances to win. This means you could be on the receiving end of a pretty large jackpot. In fact, many jackpots are over £100,000. So if you’re looking for high pay-outs, this is definitely the site to head to. Casino games include Baccarat, Blackjack and Casino Hold’Em. 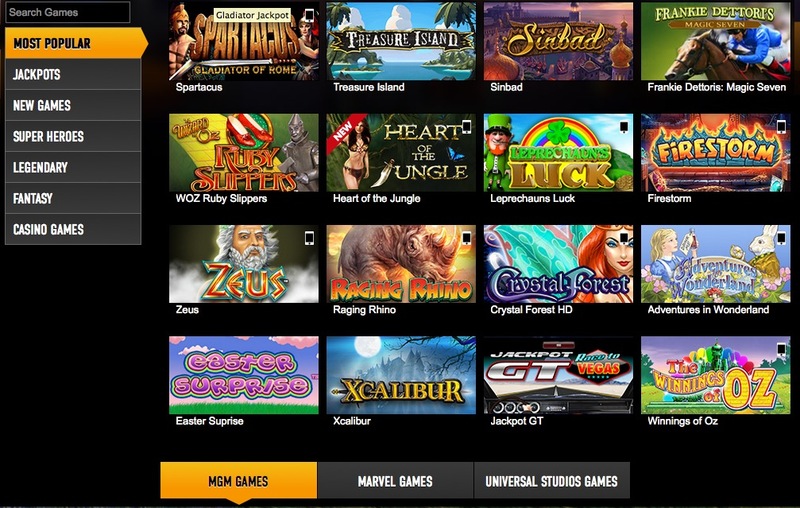 There are also a few exclusive casino games including Double Attack Blackjack, Marvel Roulette and 2 Ways Royal. If you find there simply isn’t enough games on the site, you can always click on the other tabs which will take you to other parts of the site such as sports betting and Bingo. 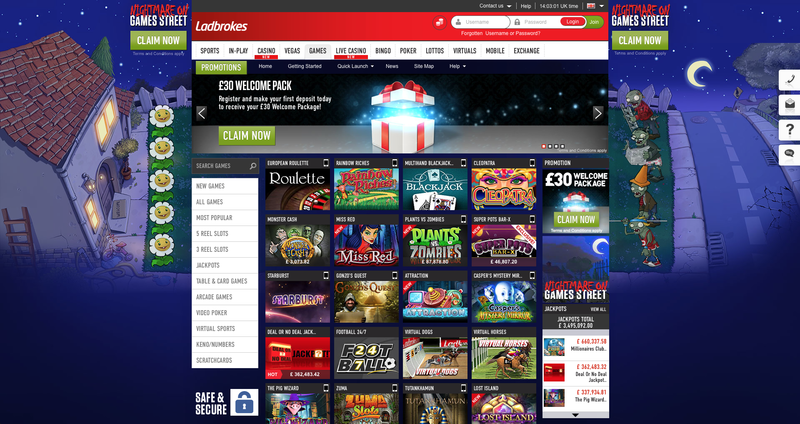 Ladbrokes Vegas has a professional design, featuring the company’s familiar logo. However, its jungle design does offer something a little different. It has managed to separate the Vegas part of the company with a unique look. There are numerous tabs available which allow you to easily navigate your way through the site. Players benefit from a decent loyalty scheme on the site. Every time you deposit £10, you receive 1 Comp Point. Once you have enough Comp Points they can be converted into cash. There is a pretty good VIP program available which promises to provide the best rewards. Players receive their own personal account manager and they can play for exclusive VIP prizes. One of the more unique advantages of the VIP scheme is the fact it gives you the chance to gain VIP entry into some of the leading events in the social calendar including music concerts and horse racing meetings. Another great advantage to Ladbrokes Vegas is the range of exceptional promotions. There are also wagering requirements you need to be aware of before you can withdraw any winnings. What the site really benefits from is its daily promotions. There is something different every single day. The rewards on offer include cashback refunds, bonuses and free spins.